When considering how many individual users you may need to license your MIDAS system for we're often asked if several users can all "share" a single user account. 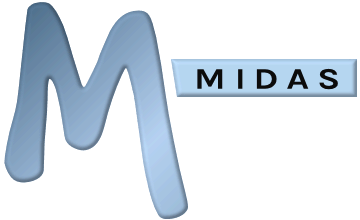 If your MIDAS system is licensed for a single user account only, this account may only be logged into from one browser/device at any one time. Logging into the sole user account from a second browser/device will automatically log out the first session. This therefore makes it fairly impractical to allow multiple people to "share" the single user account. As each user account is associated with a single email address, if multiple users share the same account, email notifications will still only go to the sole email address associated with that user account. In summary, we would strongly recommend a policy of "one user account per person" for every individual who is required to access to your room booking system to make changes (i.e. add, modify, or delete bookings, etc), as this will help avoid confusion by maintaining an accurate audit trail of each user's activity within the system. The use of a "shared" user account (where multiple individuals all login to a single user account) is only recommended if the account in question is limited to "view only" permissions, to allow multiple people "view only" access without the need to create a dedicated user account for each individual viewer. If many people need simple "view only" access to be able to view upcoming bookings, you may like to instead consider the Public Booking request features of MIDAS (which allow non-users to see availability of your venues and make booking "requests"), or our optional "Web Calendars" addon (which allows you to embed a monthly calendar of bookings into your own public website).